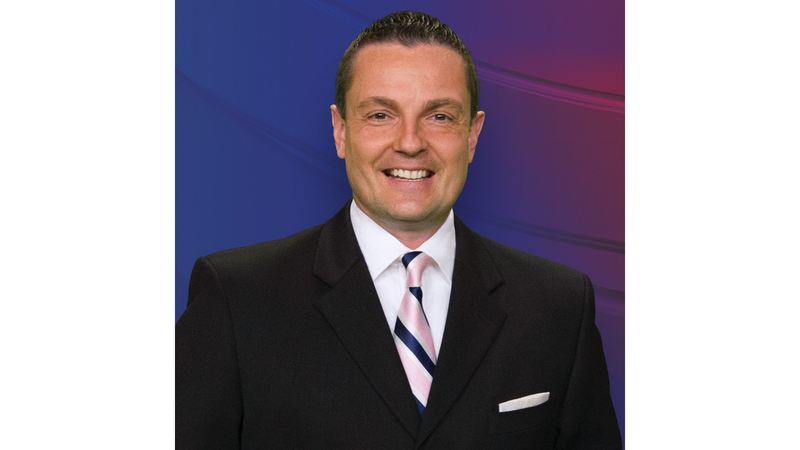 Tim Drawbridge joined NEWS10 in July 2013. He along with Cap, Rob Lindenmuth, and Jess Briganti love the weather and strive to deliver accurate forecasts that allow you to plan your day and keep your family safe. Tim actually wandered the hallways of NEWS10 during his first internship with Cap in 1991 while also filling in at WNCE-TV (Channel 8) in Glens Falls. He grew up on the East End of Long Island and is a graduate of Lyndon State College which is located in the Northeast Kingdom of Vermont. Tim is a member of the American Meteorological Society holding their TV Seal of Approval since August 1998. He also has been recognized by Metroland Newsweekly as "Best TV Weather Anchor" in their yearly, staff-compiled "Best of the Capital Region in 2004, 2007, and again in 2011. His career began at WVNY in Burlington, Vermont late in 1993. A year later, Tim was off to Central Kentucky and WLEX. He spent three years forecasting the weather and dealing with the severe weather challenges of the Bluegrass State. He received accolades for his severe weather coverage having been nominated and commissioned as a Kentucky Colonel by a member of the former Lexington office of the National Weather Service. As well, Tim had the opportunity to co-host the Miss Kentucky Gala while also becoming familiar with the fun of Kentucky basketball, the Kentucky Horse Park, Keeneland, and The Kentucky Derby. In 1997 Tim took on the challenge of building a weather department from scratch. He was off to WSYM in Lansing, Michigan where he ran into Coach Tom Izzo at first base during his first PR appearance at a charity softball game. Tim, known for having some fun on-air in the kitchen, had a blast while participating in the annual Snowflake Chili Cook-off winning 4thplace one year. He also learned some of the ins and outs of Hot Air Ballooning while embracing the experience of "Go Green, Go White" with MSU football & basketball. Early in 2002, Tim headed for WZVN in Fort Myers, Florida to bask in the sunshine and deal with the intricate challenges of sea breeze fronts and tropical meteorology. Tim returned to the Capital Region in September 2003 having worked Capital News 9 – YNN – now Time Warner Cable / Spectrum News. Before arriving at NEWS10, he was known as the "weekend warrior" doing double- shifts on the weekends for several years while working at WNYT. Because of his relationship with the Adirondack Broadcasting Company – while knowing a few things about the game – Tim had the opportunity to "call" a number of high school football games with Rick Harrington on FOX Sports 1230. In fact, Tim and Rick followed the Queensbury Spartans to The Dome during the pursuit of their State Championships during the 2013 and 2014 seasons. When Tim isn't doing the weather, he's balancing life with his daughter while mixing in the gym, yoga, some fun in the kitchen – yes, the dude can cook, bake, and grill . . . and some fun in the dirt – landscaping and gardening – obviously, when it's warm. And yes, he's been a Mets and Jets fan since the days of Craig Swan pitching to John Stearns and Richard Todd throwing deep fly patterns to Wesley Walker and Kurt Sohn. You can follow Tim on Facebook via his FRIENDS page or the FAN CLUB. He's also on Twitter, Pinterest, LinkedIn, Instagram and can be contacted via e-mail at: tdrawbridge@news10.com.